Midisport 1x1, MIDI Interface from M-Audio in the Midisport series. The Midi Sport is a 1 x 1 midi device that really has a low latency, so low you really wont even notice is unless you have some issues with the speed of your pc or mac. The Midi Sport is a little more stylish then most other 1 x 1 midi devices that are compact and travel ready. To me style really doesn’t matter at all let alone on a device like this because no one is really going to see it any way. The only time you will use this is on the road, or unless your set up at home is very small and simple and you don’t have a audio interface with midi connections which most interfaces do have at least 2 midi connects built in. So you really wouldn’t need this Midi Sport unless your set up is really simple. Installing this device was pretty easy didn’t take long at all. There really weren’t any complications or anything . 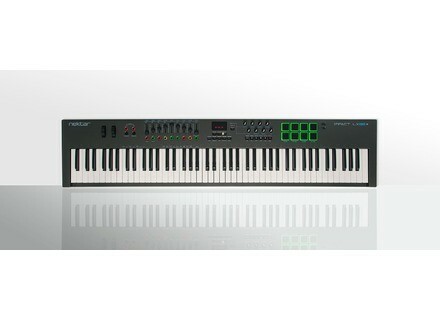 I recommend this device to someone who just needs 1 midi hook up and doesn’t want to spend a lot of money, though this midi device does cost more than some of the other ones on the market but like I said you are mainly paying for the style and design of this midi device which doesn’t matter to me at all. If you need a small midi device that is 1 x 1 look into some M audio’s other devices and Behringer makes some good cheap ones that cost less than 30 bucks and it will do the same as this one it just wont be as cool looking. But when it comes to looks on a 1 x 1 midi connector who really cares what it looks like in the first place. 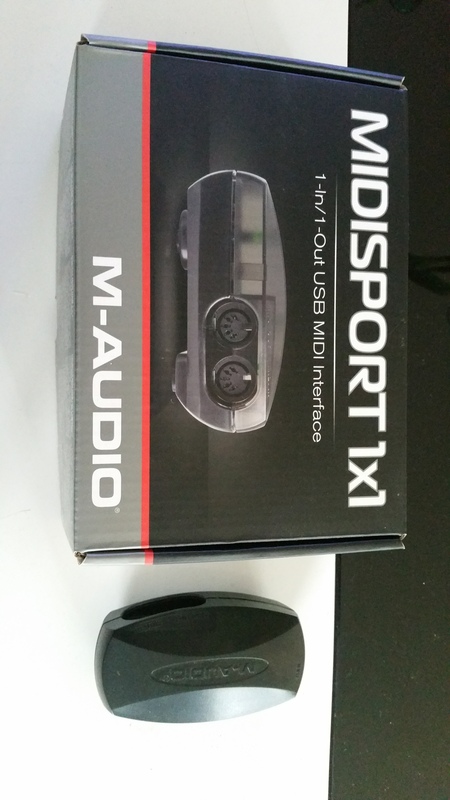 Cool look, but nothing special about the midi sport 1 x 1.
maxby's review (This content has been automatically translated from French)" Good midi interface, poor development of drivers!" 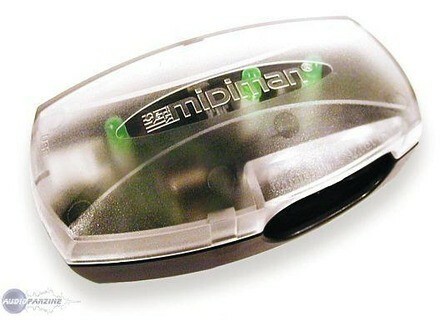 I bought this midi interface because it is portable and little clutter. I use Mac OS X. The drivers worked well but M-Audio has stopped develop from Mac OS X Lion. Under Lion, the interface is still recognized but the driver creates many bugs in protools and oubligé me to reinstall CoreMIDI. I am over M-Audio, I find that this interface does not deserve to fall into oblivion so quickly. 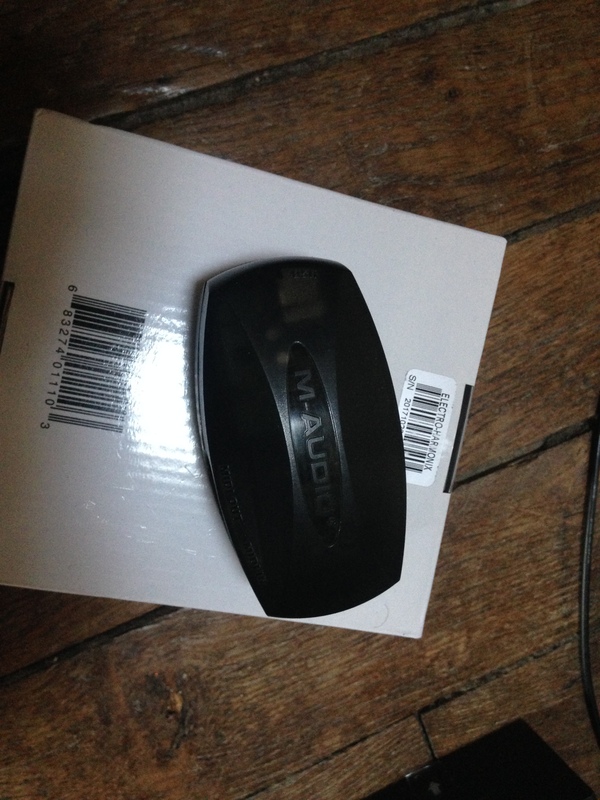 Jamian's review (This content has been automatically translated from French)" It works well ..."
I had bought this little midi interface at the time just to use a keyboard to enter my sheets in Harmony Assistant. So I had to just inteface compact plug my E-14. I have been using ... I do not know. This has got to be a dozen years. I did not try anything else before buying. It is a compact interface, cheap and serves its purpose well. M-audio still supports this interface, which is a very good point. - USB interface allows a quick and easy installation. - The aim was to connect my midi keyboard for my sound card has no such interface. - Config: K7S8X Asrock, AMD 2400 +, 1 GB DDR SDRAM, 2700, 200 GB hard. - The interface is transparent, simple to configure an interface present on a sound card, default 0. - Excellent, it's best quality / price I could find.